Upload a pre-designed flyer at bottom of this page. The design must in one of these formats; gif, .jpg, .jpeg and .png. The dpi of the Flyer must be set for 150. Once information and payment is received we will provide a proof for your review within two business days. Rush orders incur additional fees. Once you approve your proof, you can then choose from the optional days and times which are available. 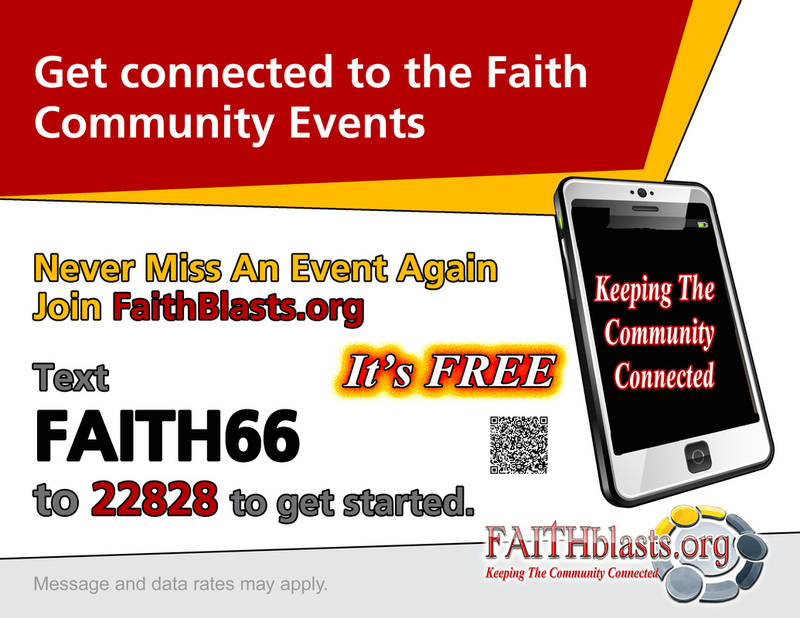 The sending of your event to our data community is called a FAITHblasts and it goes out one (1) time unless additional FAITHblasts slots are purchased. Call or email us with any questions and we can clarify it as an option.